Researchers from CFAES are studying how well fish can see both prey and predators underwater, and how that ability is influenced by changes in water clarity. They hope the research will help Lake Erie’s fisheries, especially its sport fishery, adapt to algal blooms that reduce underwater visibility, which is important to visual hunters such as walleye. Fish tend to follow a rotating stripe pattern that can be set up around a round tank in the lab. 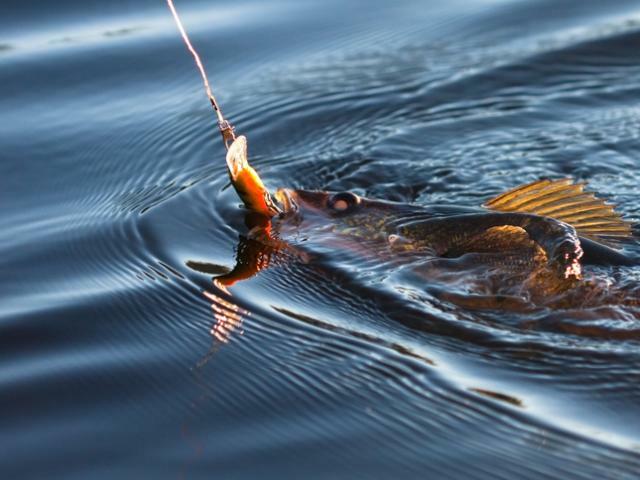 This allows researchers to study how well fish can see in various water conditions. No movement means the water is too murky for them. Gray is teaming on the project with Jeremy Bruskotter and Eugene Braig, who also both are in SENR. There’s a citizen science component to the research, too, based on Lake Erie charter captains’ expertise in selecting fishing lures. Lures identified through surveys and interviews with the captains will be tested in the lab to get science-based data on their effectiveness. Experts from CFAES and Ohio Sea Grant also teamed up to host Sept. 15’s Understanding Algal Blooms: State of the Science Conference in Toledo. To contact the scientist: Suzanne Gray at gray.1030@osu.edu.